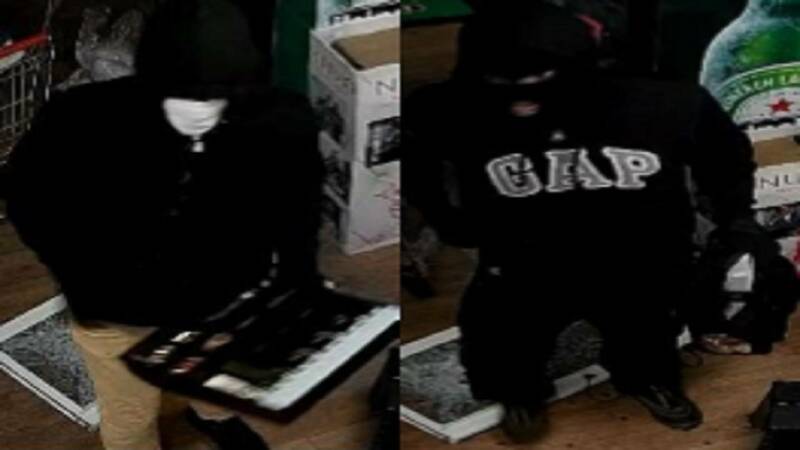 HIALEAH, Fla. - Police are searching for two men who took part in a burglary of a Hialeah liquor store early Monday, authorities said. Detective Jose Torres, a spokesman for the Hialeah Police Department, said four men and a 16-year-old boy broke into Barbarita's Liquor in in the 400 block of East 41st just before 6 a.m. Surveillance video shows the men entering the store through a broken window. The store was closed at the time of the burglary. Torres said officers arrived on scene shortly after the break-in and found men dressed in dark clothing running from the store. 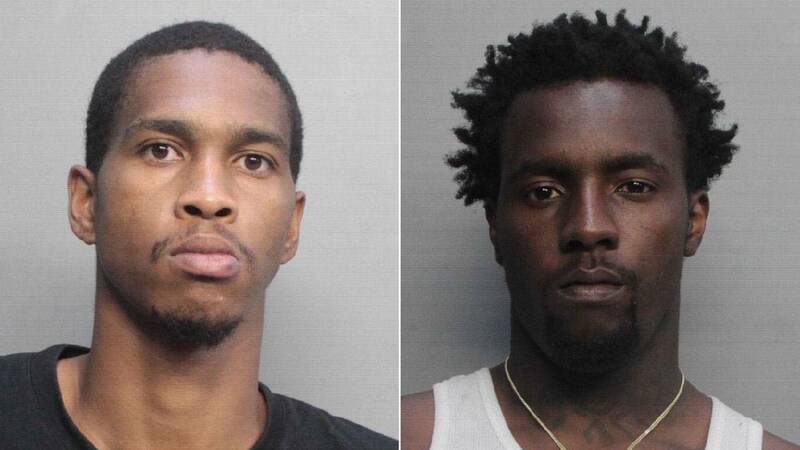 Officers arrested David Lee Russell, 23, of Miami, Delberth "Dilbert" Ross, 26, of northwest Miami-Dade County, and the boy, Torres said. Delberth Ross and David Russell face a charge of burglary. Two burglars remain at large after burglarizing a liquor store in Hialeah, police said. Local 10 News is not identifying the teenager because he is juvenile. Two of the thieves managed to escape the officers, Torres said. Russell and Ross face a charge of burglary. Russell is being held on $7,500 bond at Miami-Dade County's Turner Guilford Knight Correctional Center. Ross is being held on $15,000 bond at the same jail. Anyone with information about the case is asked to contact the Hialeah Police Department at 305-687-2525 or Miami-Dade Crime Stoppers at 305-471-TIPS.